This spell bound bottle is one we recently received directly from Gypsy Lady Luna’s collection of ancient spell casted items. 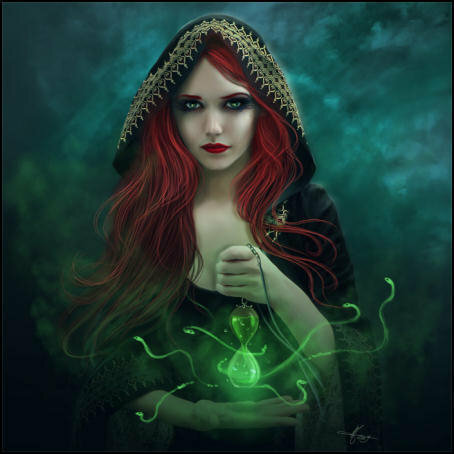 We asked her to prepare for us 5 special bottles of ancient spell work, the most powerful of their type that she could create, and she has once again shocked us with the beauty of the vessels in which she has enchanted so graciously for us. She never ceases to amaze us with what she can come up with! The bottles are gorgeous and emit such wonderful energy! 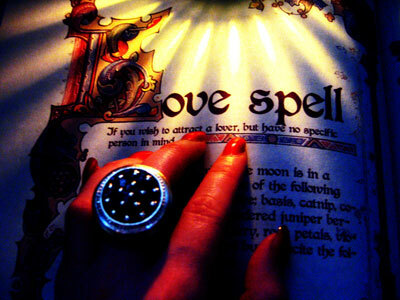 This secret ancient set of spells, cast by Gypsy Lady Luna herself, bring to you the ability to manifest love and passion to surround you in all ways possible. This was the second bottle in the set of five cast by Lady Luna because she has been foreseeing many people needing help in the way of their relationships, both with friends, family and coworkers, and with their romantic partners lately! You will find that with these secret ancient set of spells, you will find yourself meeting people who are of your like mind. People who seem to be more loving and kind then your previous interactions. You may meet someone new romantically, have a deeper renewed connection with your current flame, or rekindle a lost relationship that you felt you really would never regain again! You will find love once more - and sometimes, there is more to "love and passion" then just humanly thought of! For instance, you may recognize a new passion that you had buried deep inside of you! Like Nature, or a Career! You may also find that you have a new love for a particular hobby, or feel extremely drawn and passionate towards something in particular! This is all a part of the awakening of this ancient spell set! GO FOR IT! With this bottle - Only love and light will surround you! That means that you will be turning away from the dark and will be making choices for the betterment of your life! Imagine if you were a stranger to everywhere. That is how her life felt. She was never “welcomed” into a loving home. Her father left her mother in the early months of her birth, and her mother, having no other refuge to seek, turned to finding work with a carnival circuit that had visited their town. Going to work the circuit, Luna was often left alone for hours on end. Eventually, her mother was left unemployed by the circuit along with several others, who quickly began to travel town to town trying to find ways to make ends meet. Instead, her home was with those she grew up around, more like a clan of very loyal individuals – sometimes with such high loyalty that it was actually hard to escape from them. Her mother passed away from illness when she was just 15 years old, leaving her to suddenly make decisions for herself. She ran away from her gypsy familia, and had to change everything about herself to try to “fit in” with the area where she had settled. Through the years she was able to seek out and find other individuals who were also gifted and became the High Priestess of a Secret Occult Coven in Massachusetts. She was never entirely comfortable sharing her gifts with strangers, or telling others of her incredible knowledge of the spirit realm unless she got to know them well first, or could work with people inside her home, or long distance. Her clients, she bashfully admitted to us, included some of most successful people in the United States, but she would work privately with them, never even disclosing her true name to them. She guided them, helped them with their success, and even healed them sometimes. She never got the chance to be proud of herself and her accomplishments in the way that she should be, publicly. She lived in the fear that she had learned as a child, that it was “not acceptable” to be who you truly are, and so for many years she held her meetings inside her home, private, and secretive so that no one outside of those whom she told personally, would know of her true calling in life. She feared that her friends and coworkers would not accept or understand it. She was a friend of the spirits, and they were her companions. She felt never alone as long as she was truly herself, at home, inside the confines of her house with her collections. In the last five years she has realized that she has grown to own an enormously large sized collection of articles, information, spirits, spell cast items, etc. with which she does not have much to do with.She has reached an older age and has started working with us to lessen her collection and has done some private spell casting, enchanting work for vessels that we have found and vessels that she has found to work with. She enjoys being able to still make use of her gift while being able to decrease the size of her collection.